Last week we got our first look at Henry Cavill as Clark Kent in Batman V. Superman: Dawn of Justice; well, now we have our first photo of Superman from the May 6th, 2016 film. 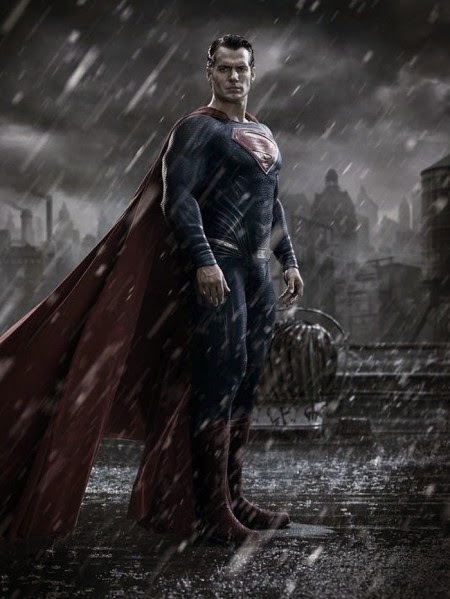 Personally, I like this dark, brooding pic of Superman where he looks like a fish out of water, perhaps in Gotham City. My other thought, though, is it looks like Zack Snyder is once again taking the bright and hopeful character of Superman and Nolanizing him into the darker version we see above. If this is the case the dichotomy that makes the Batman/Superman relationship interesting may be sorely lacking in the Snyder version of the Bruce/Clark story. What do you readers think of the photo? Are you afraid Snyder will make the Superman character too dark once again? Let us know in the comments! Thanks to CBR for the Image!